Following on from my last post about saving Facebook tagged photos to ownCloud, here’s a plugin that addresses my Flickr favourites rule. This plugin, when set up on IFTTT, will use exactly the same mechanism to save any public photos I tag as a favourite on Flickr to my owncloud folder. For many reasons, not least of which their decision to appoint a surveillance loving war criminal to their board of directors, I’ve been steadily migrating away from Dropbox. Thankfully, there is a drop-in replacement for much of it, providing you run your own server. So, I’ve got a syncing file store/backup running across my devices, which can be accessed while I’m on the go as well. However, one of the things I do use dropbox for (which is not terribly important in the grand scheme of things, but which I find quite useful) is, via the use of an IFTTT rule, to take a copy of any photos I’m tagged in on Facebook, so that I can see them (and to break them out of the silo) without actually having to go onto Facebook. This is possible using dropbox, owing to it being a centralised service, but obviously isn’t possible using your own server. So a little while ago I put together a hack that used IFTTT’s wordpress channel to add a pluggable webhooks interface to IFTTT. Since this tool supports plugins, I was therefore able to write a simple Facebook adapter which, when triggered would extract the image URL from the push message and then simply download it. Since my owncloud install was on the same server, all I had to do was output this file to the appropriate owncloud data directory and any files retrieved are automatically synced to your client devices. 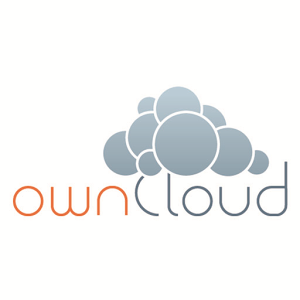 You can of course opt to write to any directory, and not use owncloud at all, but since I wanted a like for like replacement for IFTTT+Dropbox I went for owncloud server storage! Simple, and obviously you could extend this to do other things with it. Place the code in your plugins directory, and create a new recipe on ifttt triggering your plugin whenever you’re tagged on Facebook, remembering to pass plugin:FacebookPhoto as your category. IFTTT (short for If This Then That) is a very powerful service that one can use to hook a number of different cloud services together in cool ways, and it’s a service I make a fair amount of use of. Like many of us who make use of cloud services, the Snowden revelations, that the US and UK intelligence communities had hooks into all the major cloud services (or perhaps a better word would be “confirmations”, since many of us suspected this was going on for a while), have given me pause to re-evaluate the services I use and trust. So then, what of IFTTT? With all the hooks it has into other services, it does seem to represent the ultimate in back doors. Out of necessity of function, the permissions granted for each service are quite wide ranging, and we only have it on faith that they won’t be abused. Ok, so it’s not as bad as them knowing my password, since I can click a button and revoke access at any time, but until then IFTTT have full access. As a US company, and through no fault of their own, IFTTT are compromised when it comes to security, since they’re all backdoored by the patriot act. I suspect that if they haven’t been forced to share access to accounts, it’s only because they are still relatively small fish (when compared to the likes of Google) and are only really used by the technical subset of internet users. But as they grow, it’s only a matter of time before they appear on someone’s radar. In addition, their business model has always been a little bit of a head scratcher. I suspect the whole service came about from a “wouldn’t it be cool if…” kind of conversation, rather than a set agenda to make money (quite right too), but servers don’t pay for themselves, and I do wonder how long it will be before In-Q-Tel come calling. Of course, it may be moot, since most of the services that IFTTT connects to are also US based, and for that matter, other countries are almost certainly forcing backdoors into their cloud services too. Still, it’s got me pondering self hosted alternatives… any nice #indieweb projects out there?